I will mark the 50th anniversary of President John F Kennedy’s assassination on Friday 22 November 2013 with a special event in Bangor Town Hall. I will welcome a small group of people to watch, listen and reflect upon previous speeches made by the 35th President before his tragic death. 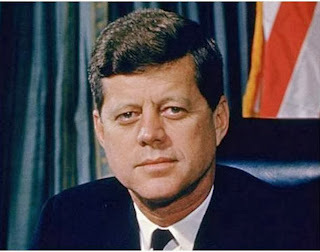 JFK was an inspirational leader and in the short time he was President he showed strong, independent leadership, tackling major foreign policy issues and paving the way for American civil rights legislation. With his Presidency cut tragically short we will never know what other significant changes JFK could have brought to America. 50 years on, and still with no clear explanation for what happened that day in Dallas, it is important we remember the influential man who’s legacy is motivating and influencing a new generation. I have always found inspiration in the words of JFK which is why I felt it was important to acknowledge this anniversary. I am looking forward to sharing my favourite speeches and talking about his legacy at a special event in Bangor Town Hall on Friday night. "We choose to go to the moon in this decade and do the other things.